Looking for a gift for the gin drinker in your life? Unsure on a secret Santa gift? (yes i am aware it's July!) Then it's time to share Adas advice once more. When this landed through my letterbox i was super excited, having previously read a few of these, and gifted a couple to friends and family - i was excited to have a read through this. 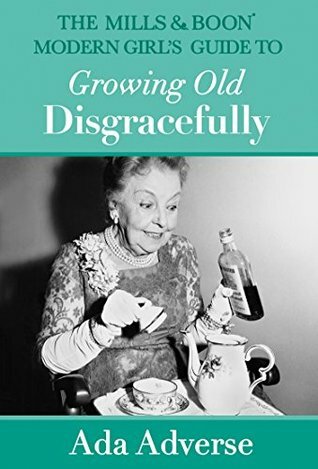 It's a short read with only 96 pages but with brilliant pictures and captions - its a laugh out loud read but one that we can all relate too, we are all getting older and some of these situations i can so see happening to me! If i wanted some life advice on how to grow old disgracefully then this is the advice / tips and anecdotes i would be sharing with my best friends. I am in love with Adas advice, and whilst The modern girls guide to happy hour will remain my favourite this was a close second! Thanks to Mills & Boon for sending this. Ada Adverse has been married eight times. 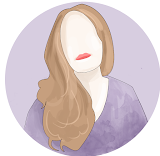 She is author of over 100 books, all of which she dictates from her bath to her man-secretary, Alan.